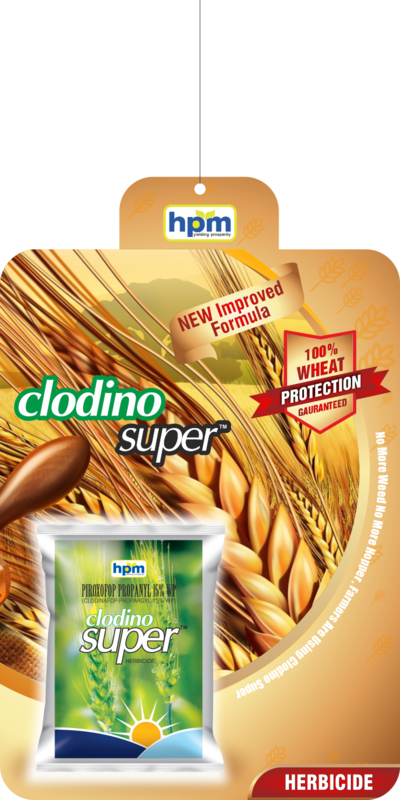 Clodino Super is a new generation wheat herbicide. It is specially developed for the control of Phalaris minor & wild oats in Wheat crop. Recommended for post emergence application, the herbicide is taken up through leaves of grass weeds. Active growth of susceptible grasses ceases within 48 hours. 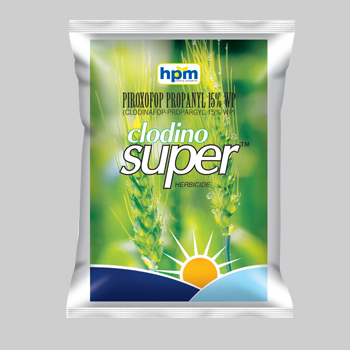 Clodino Super quickly degraded in the soil & has little or no soil activity. Hence no cropping restrictions. 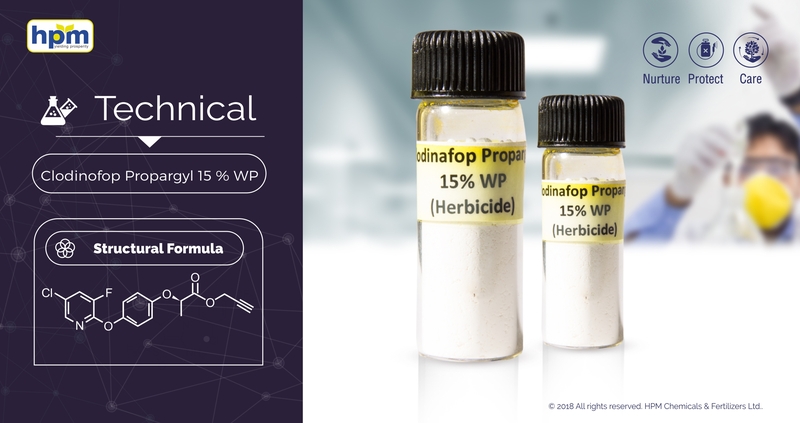 Clodinafop-propargyl is a carboxylic ester resulting from the formal condensation of the carboxy group of clodinafop with the hydroxy group of prop-2-yn-1-ol. It is fatty acid synthesis inhibitor,by inhibition of acetyl CoA carboxylase (ACCase). Post-emergence, systemic grass herbicide. Phytotoxic symptoms appear within 1-3 weeks, affecting meristematic tissue. Best results are obtained, when the majority of grass weeds have emerged and are actively growing e.g. under warm, moist conditions Do not apply if rainfall is expected within 2 hours. Mainly used in combination with safenercloquintocet-mexyl.